Adjacent to the Niseko Gondola that whisks straight to the top of Mount Niseko Annupuri, this luxury Niseko hotel provides outstanding restaurants, spa, onsen, WiFi access, ski valet service, a fitness centre, a business centre, meeting rooms, a ballroom and a playground for kids. 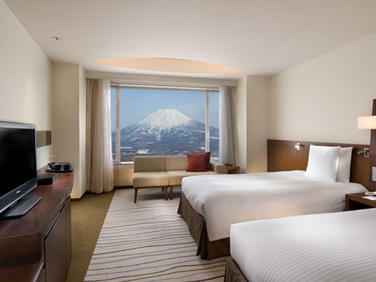 Enjoy our contemporary rooms at Hilton Niseko Village offering picturesque mountain views. Relax and watch a movie on the LCD flat panel TV, or catch up on work at the desk. WiFi is available in all rooms, restaurants and public areas. With celebrated interiors and a variety of restaurants and bars to choose from, Hilton Niseko Village offers a selection of casual and formal dining venues. 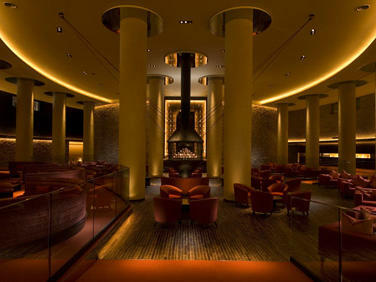 The kitchens led by the head chef consistently innovate with seasonal specialities. 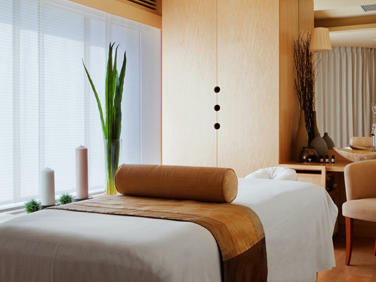 Soothe your senses in the tranquil atmosphere of Wakka Spa at the Hilton Niseko Village. Its name is derived from the Ainu language to mean 'water' and its relaxing therapies, massages, treatments or pampering beauty and facial treatments harnesses nature’s resources to restore balance to both body and mind. The spa features four treatment rooms including a custom designed room for couples featuring a deep Hinoki cedar wood bath. Slow down and discover total relaxation in naturally heated thermal waters, renowned for being beneficial to general health and well being. The onsen at Hilton Niseko Village has two bathing areas; an indoor bath on the upper level overlooking the changing seasons and a spacious outdoor bath fronted by a colourful carp-filled pond.